Dr. Paul Gray is a curriculum developer and professional development consultant for Cosenza & Associates, LLC, as well as a former project manager for the Institute for Public School Initiatives at the University of Texas at Austin. As a classroom teacher, Paul taught mathematics and science to junior and senior high school students in Chickasha, Oklahoma, and Houston, Texas. He has also served as an education specialist at the regional level and as director of mathematics and science for an exemplary school district. 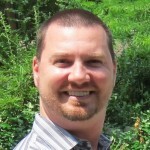 Paul has provided leadership for several statewide curriculum and professional development projects, most recently as a member of the development team for the OnTRACK for College Readiness mathematics courses. Paul has also served on several statewide committees, including the 2012 Mathematics TEKS Revision Committee for Advanced Quantitative Reasoning and the 2008 TAKS Vertical Scale Score Committee. He also serves on the boards of directors for several statewide organizations, including as Past-President of the Texas Council of Teachers of Mathematics (TCTM), Secretary of Texas Association of Supervisors of Mathematics (TASM), and past president of the CAMT Board of Directors. Paul is an author of two additional high school mathematics textbooks: Modeling with Mathematics: A Bridge to Algebra 2, and Math for Financial Literacy. Paul received his bachelor’s degree in meteorology from the University of Oklahoma, and holds his master’s degree and doctorate in curriculum and instruction from the University of Houston. 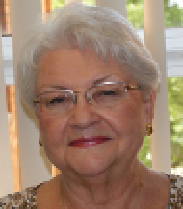 Named a member of the Expert Review Panel for the mathematics standards review in 2011, Jacqueline Weilmuenster was instrumental in giving guidance to the writing committees for the new TEKS. Her credentials: a wealth of experience in education including 38 years in K-12 and higher education, spanning 3 states and 4 job titles. Jacqueline has taught English and mathematics in Austin, Texas, Montville, New Jersey, Nashville, Tennessee, and in the DFW area. She became a math instructional coach after twenty years in Grapevine-Colleyville ISD as a teacher and department chair. She then served as the K-12 Mathematics Coordinator for GCISD for several years. She moved to Northwest ISD to start up their Secondary Mathematics Coordinator position in 2006. And in 2011, she joined the UTeach staff at the University of Texas at Arlington as a Master Teacher and Assistant Professor, preparing math and science majors for the secondary classroom. 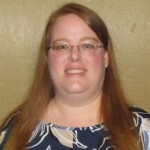 She has been a trainer for multiple professional development programs, notably the TEXTEAMS Institutes, and consultant for many textbook and instructional materials publishers. 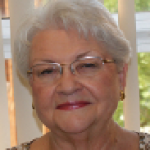 She has served on the Conference for the Advancement of Mathematics Teaching, Texas Council of Mathematics Teachers, Texas Association for Supervisors of Mathematics, and Botanical Research Institute of Texas Boards. And her real passion remains working with young people in mathematics instruction. Jennifer Hylemon currently serves as the Director of Mathematics in Grapevine-Colleyville ISD. She was previously a coordinator of high school mathematics in Irving ISD. Before becoming a mathematics coordinator, Jennifer served The Academy of Irving ISD as its Instructional Technology Specialist. Jennifer’s classroom experience includes teaching high school mathematics in both Abilene ISD and Irving ISD as well as university-level mathematics at Cisco Junior College and Northlake College in addition to serving as a teaching assistant for Engineering Calculus and teaching Business Mathematics at Texas A&M University. Jennifer holds a Master of Science in Mathematics from Texas A&M and a Bachelor of Science in Mathematics with Teaching from Abilene Christian University. Mrs. Hylemon provides leadership for mathematics education at the local and state levels. She is actively involved in the Metroplex Coordinators of Mathematics (McMath). At the state level, Jennifer was appointed by the Texas State Board of Education to serve as a member of the mathematics TEKS revision committee for advanced high school courses. Mrs. Hylemon has been an active member of the Texas Association of Supervisors of Mathematics (TASM) since 2005, including currently serving on the TASM Board of Directors as its Secretary and a Conference for the Advancement of Mathematics Teaching (CAMT) Board Representative. 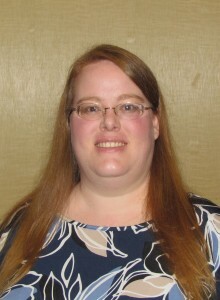 Jennifer currently also serves as the Vice President of the CAMT Board of Directors.